“Home Flipping” back in Salt Lake City- KSL.com features a Muve Approved partner project! "Home Flipping" back here in Salt Lake City? Shout out to our boy Riley Rogers for kicking a$$ and taking names on this Millcreek home featured in a recent news report (seen HERE) on KSL.com. Lets dig into what we have here. 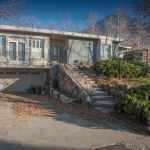 Located in Millcreek near Skyline Highschool, this home has killer views of the mountains, great freeway access and plenty of room for toys. RV parking, a 2 car garage as well as a 2 car carport should handle that just fine. 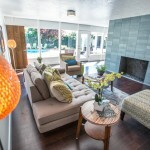 The home is being renovated from top to bottom – inside and out. Starting with a fresh coat of paint and a new roof outside will bring the property a whole new look. 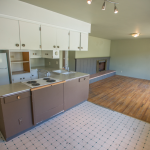 Brand new hardwood floors will run throughout the main level of the property and will make that brand new kitchen pop! Master bath suite? Yep! It’s going to have it thanks to some creative design brainstorming with Cody, Matt and Riley on site a few weeks ago. The main living room will feature a freshened up fireplace equipped with a crush glass burner of course! Barn door? In the words of Mr. Greg Sneyd himself, OH REALLY, OH YA! This sweet feature will provide separation from the living room to the office space on the main level. Gonna be sweet! The basement will also have a sweet fireplace along with 3 beds and 1 bathroom. Great place to send the kiddos down to while you relax in your brand new Muve Approved home. Interested? I thought so. I will be taking this listing live once completed, that is of course if you don’t buy it now and get involved with the finishes before drywall starts! 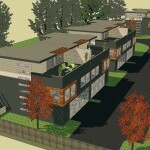 Modern New Build In SLC – Coming Soon!